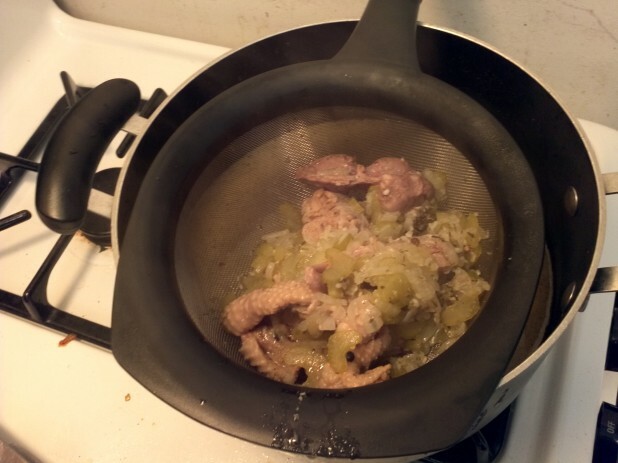 From the better late than never department, I am finally getting around to posting the super cool keto friendly recipes I made for Thanksgiving. 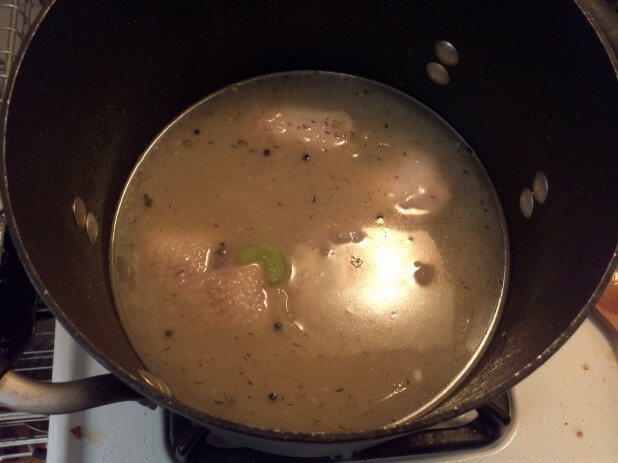 The very first thing I made was turkey stock. 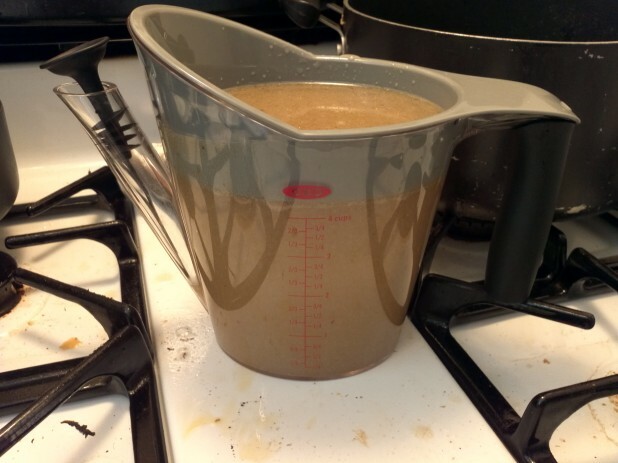 I used it as the basis for both my keto gravy and my keto stuffing. Of course you could always just sub chicken stock but what would be the fun in that? 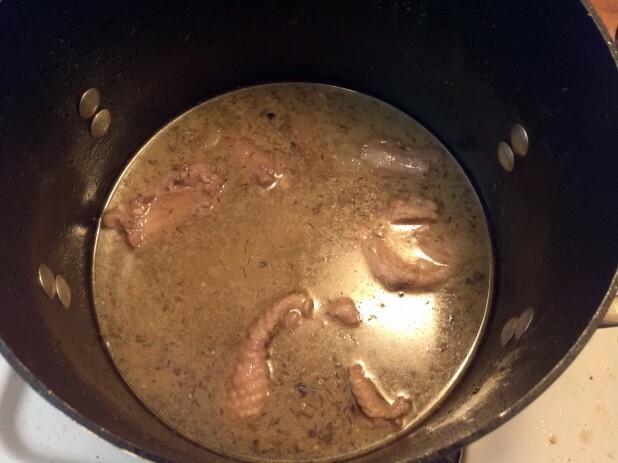 I think if making keto gravy without the pan drippings, making the stock from the spare turkey parts adds the turkey flavor that the drippings would have added. 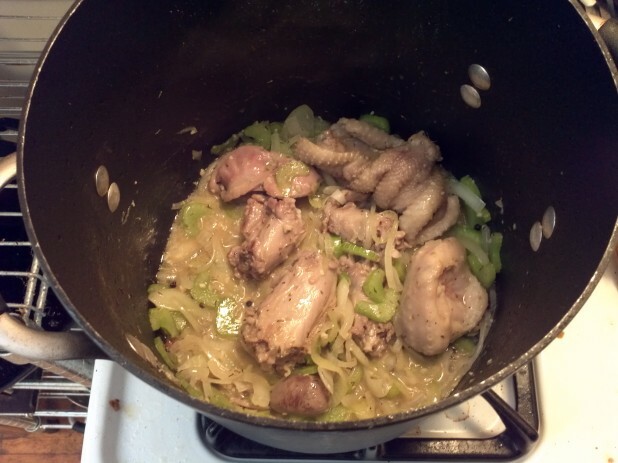 This recipe starts with the giblets. As mentioned in the Turkey Prep article, these will be located inside the bird. The top left is the neck, which I have broken into four parts. Top right is the gizzard, middle right is the liver and the bottom right is the heart. 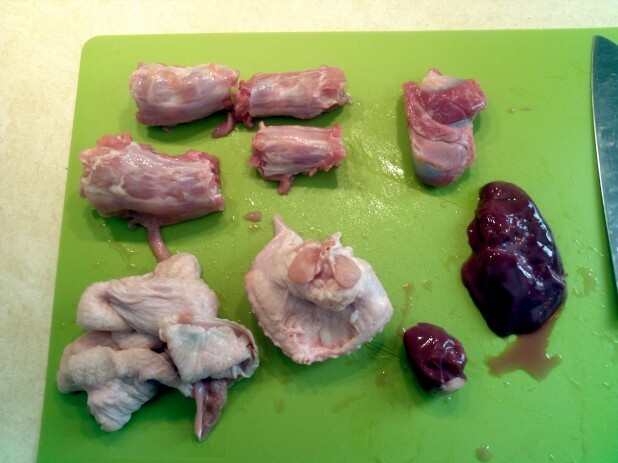 The bottom left is some spare skin from the rear of the bird and the bottom middle is the spare neck part. At this point, DISCARD THE LIVER! 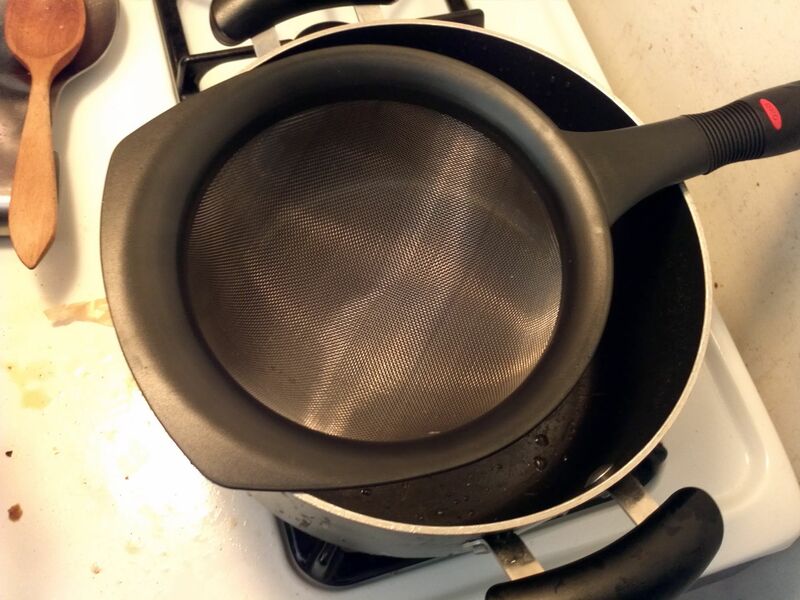 We will not be using it for the gravy as it can contain some harmful toxins. Throw the remaining giblets in a large, deep pan and start cooking them! They should brown for about 5-10 minutes. I used bacon grease but you could use butter. While the gizzards are cooking, finely chop a small onion. 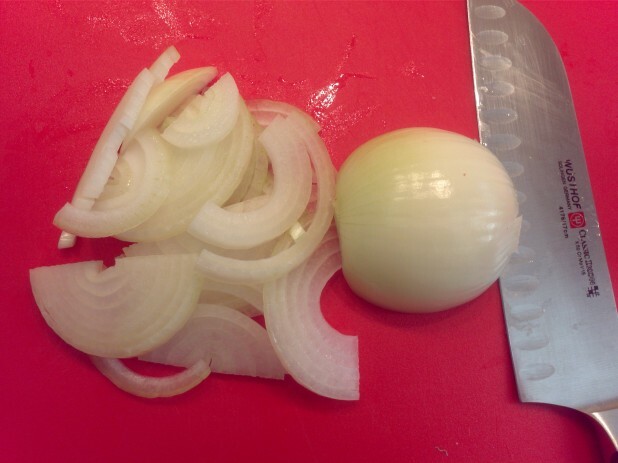 I like to get these stringy onion sections where I cut the onion in half as shown and then cut the onion as thin as I can. 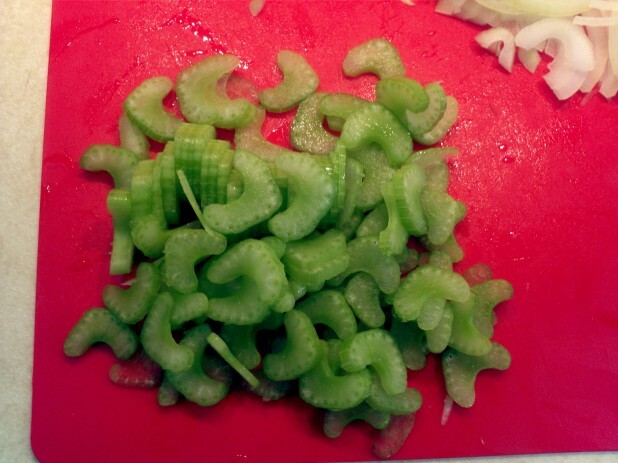 Chop up two stalks of celery. 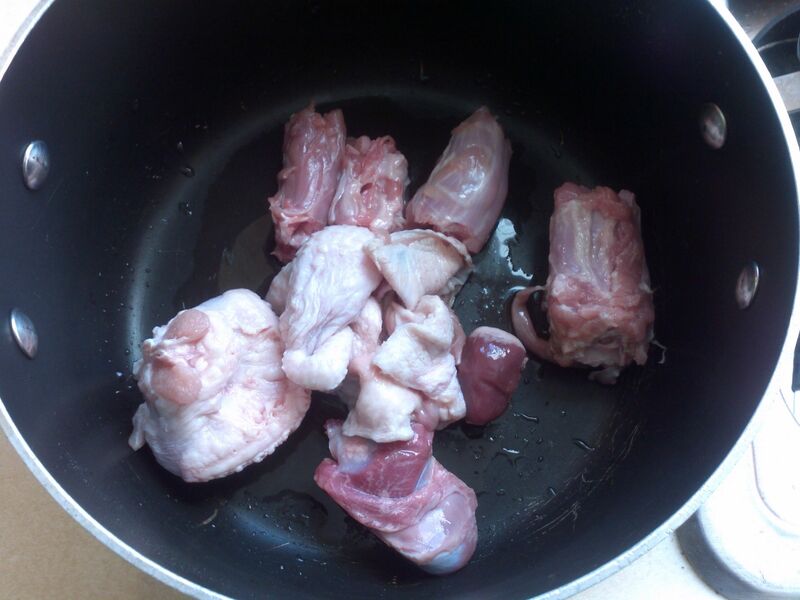 Make sure to turn the giblets a couple of times to get all sides browned as shown. 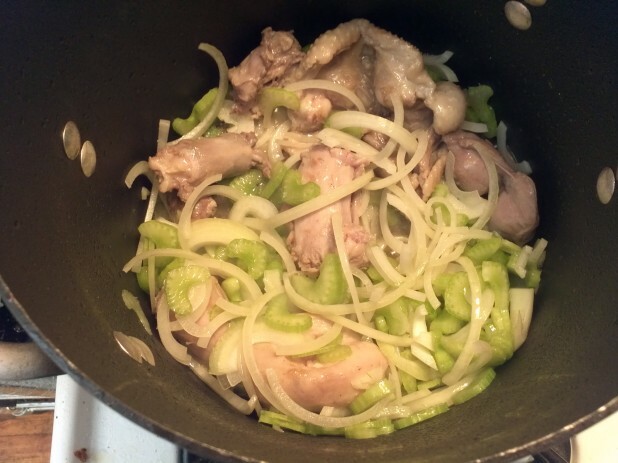 Throw in the vegetables and cook for 5-10 more minutes. At this point the vegetables have reduced to a translucent state. 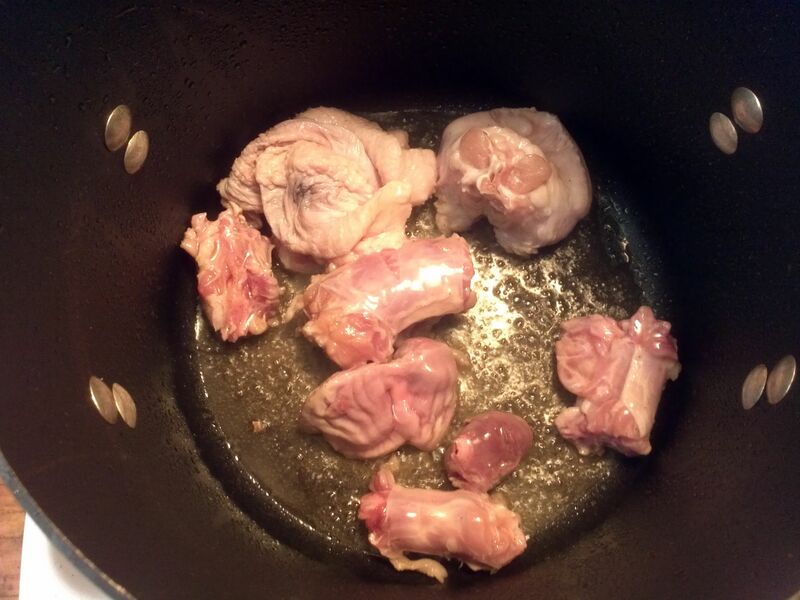 Throw in the minced garlic, peppercorn and thyme. Now we are ready to make the broth. Add in the Chicken broth and water and simmer for 45=60 minutes. Here is the broth after simmering. For the actual broth, we need to separate the liquid from the vegetables and giblets. To do this, just take a fine mesh strainer and pour the mixture through. 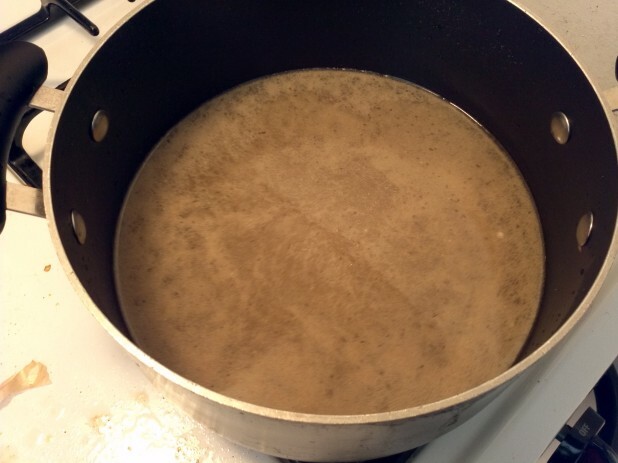 If you are going to make gravy with your broth, make sure to save the giblets and vegetables! Well that’s it folks! Stay tuned for my keto turkey gravy and keto stuffing using the broth! Happy Thanksgiving!! Hope you and your new bride and bonus daughter are having a Wonderful Turkey Day!! 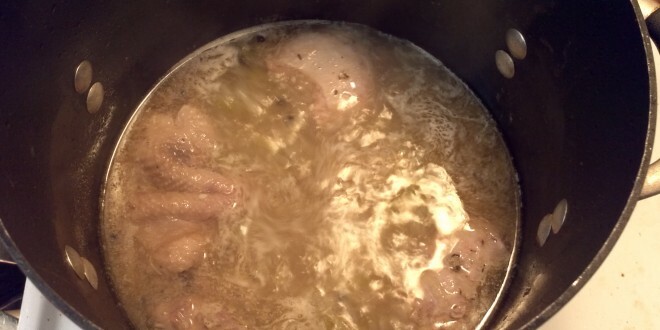 Hubby and I are making your Turkey Broth right now as we speak and then onto your Giblet Gravy. We did the Bacon Grease method as suggeseted, CANNOT WAIT!! !